Proper Bread isn’t high on my list of baking priorities (the last time I made bread that wasn’t pitta, naan or chapattis was in May), but I’ve had to start practicing again ahead of holding a Spanish-themed housewarming party next month, for which I will need to bake some Spanish bread. 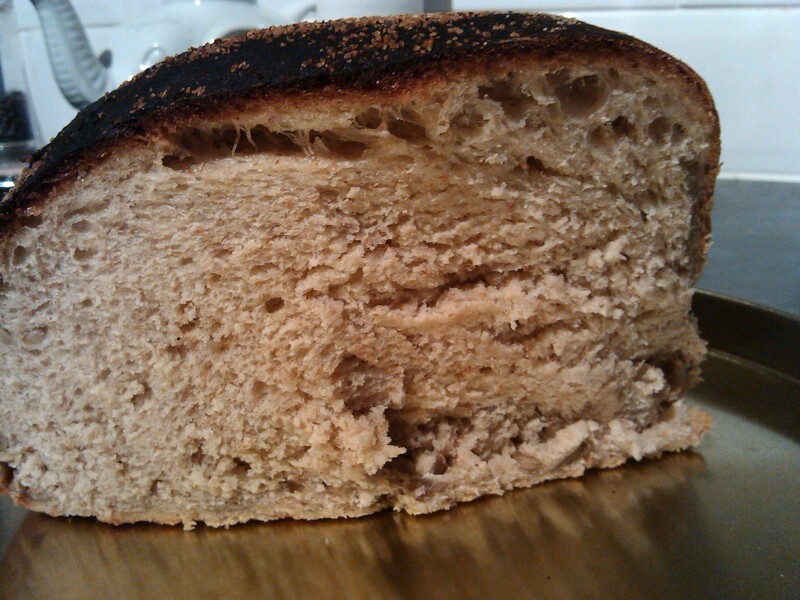 The bread in question is this rustic-looking thing, pan Gallego, which hails from the Galicia region. Pan Gallego is supposed to contain a mixture of pumpkin seeds, sunflower seeds and millet, but I only had sunflower seeds so I just used those. 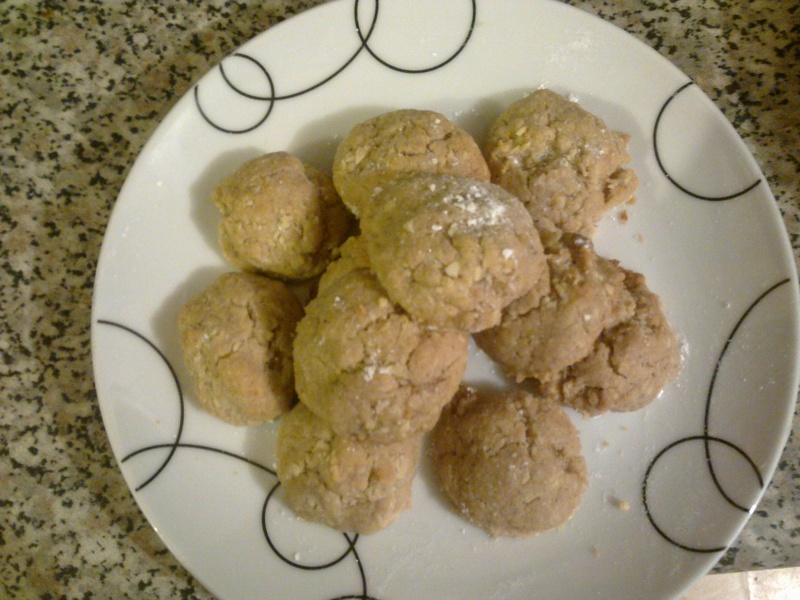 It’s made using a mixture of strong white and wholemeal flour, along with a dash of olive oil. 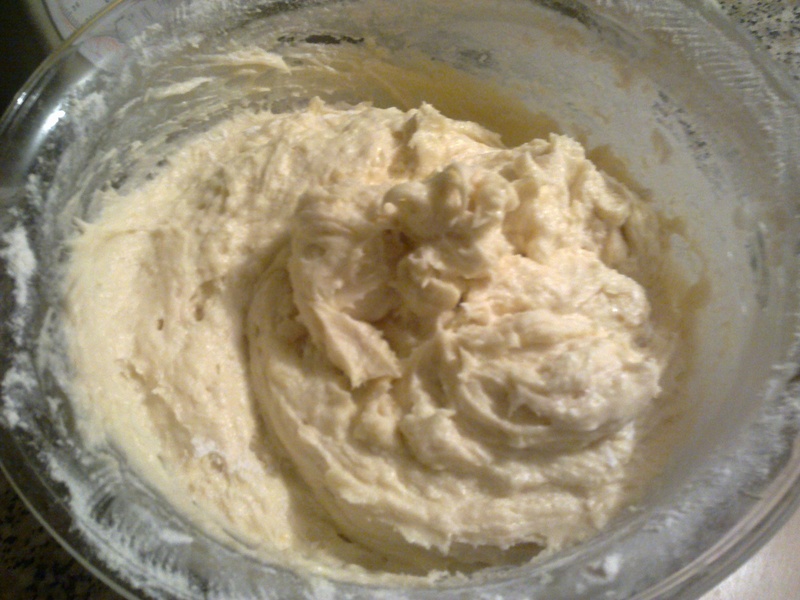 The recipe I used called for fresh yeast, but I only had dried and that worked perfectly. 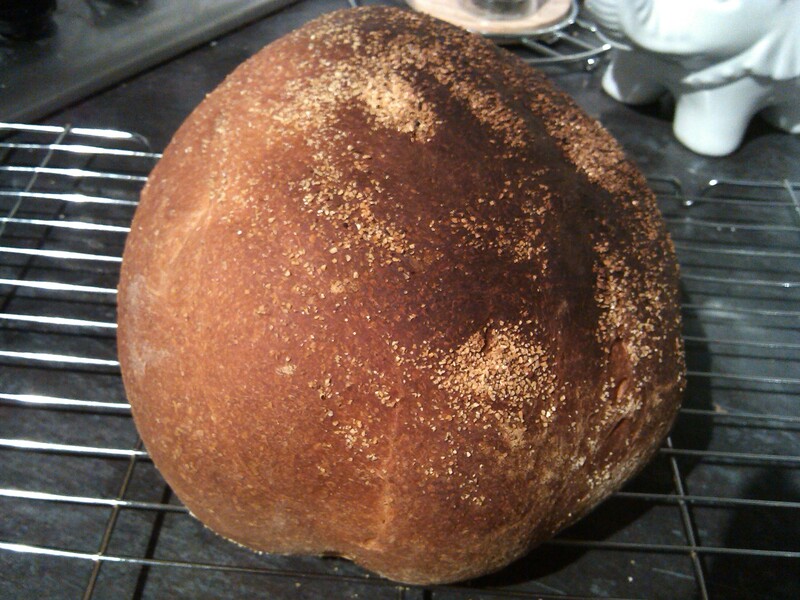 This was a rather time-consuming bread to make in terms of kneading and proving, but it was well worth the effort. The bread rose nicely both during proving and baking, making for a huge beast of a bread! Although I was rather lax in allowing it to burn slightly on top, the interior is delicious and, to be honest, I hate wasting food so I’ve been eating the burnt bits anyway, and it’s still nice! I’ve so far had this on its own, toasted with butter and honey, with manchego cheese and to mop up a half-invented vegetarian Spanish stew, and it’s been lovely on every occasion. There’s still lots left and I’m looking forward to trying it with other things! Can be found in Baking by Martha Day. 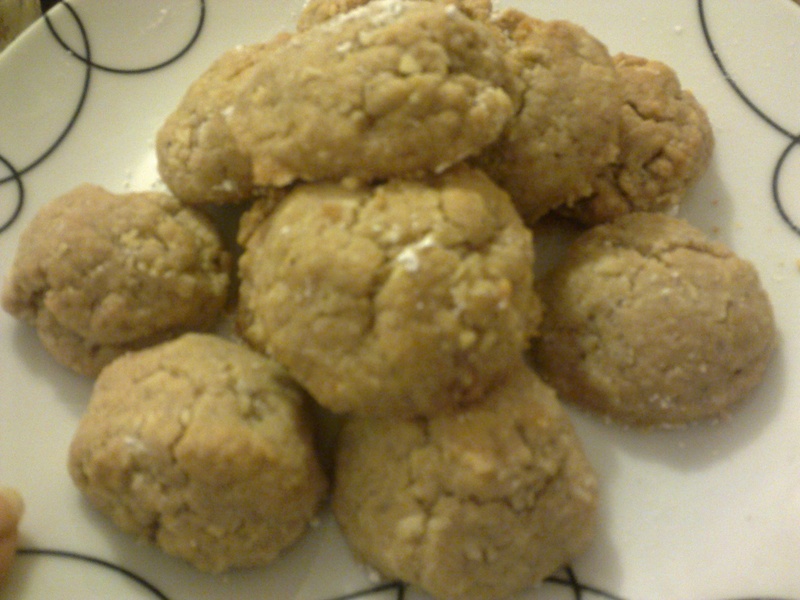 A very similar recipe can be found online here. It was my turn to bake for charity this week, but I left my planning to the last minute. I rather riskily decided to make something I’d never made before, purely because I already had all the ingredients in – these lemon, honey and hazelnut muffins. I really liked the sound of this flavour combination and thought nothing could go wrong! Indeed, making the muffins was a cinch, especially with the electric whisk I decided to use to save time. 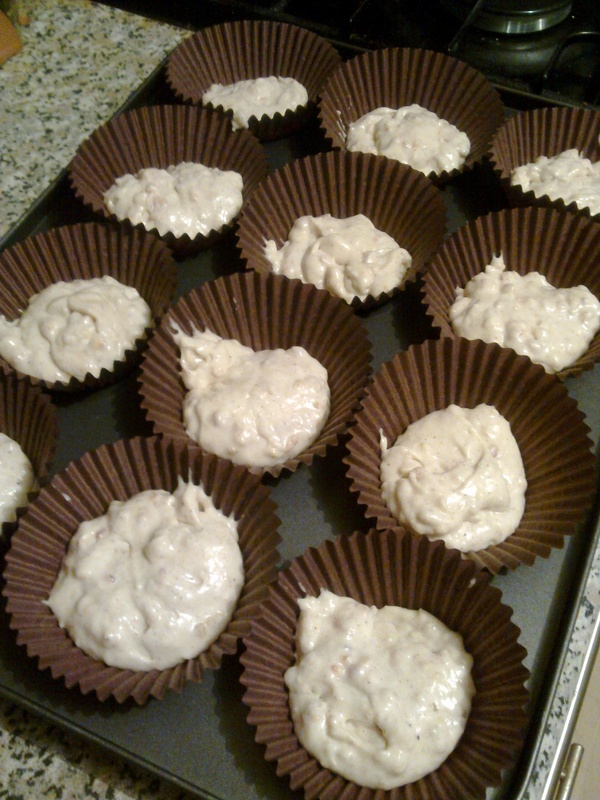 However, things started to go awry when I began spooning the mix into the muffin cases. There seemed to be very little mix in each case, but the recipe definitely says ‘makes 12’, so I baked them anyway, hoping they would rise a LOT. Unfortunately, they didn’t. 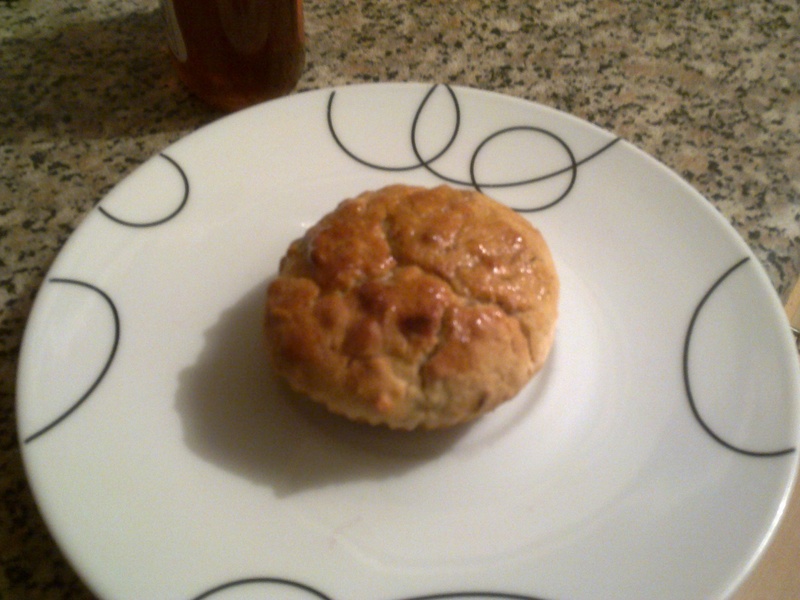 They ended up around the same size as a scone, and not particularly muffin-like! They tasted nice, especially with the honey brushed on top, but they definitely weren’t muffins. I ended up selling them as ‘mini cakes’, and they still sold out, but I wasn’t particularly happy with their size. The book I used is an American one with all the quantities converted to grams/ounces from cups, so I’m wondering if some of the conversions are incorrect or if Americans mean something different by the word ‘muffins’ compared with what us Brits know them to be! If I was to make this recipe again, I would probably either halve the recipe and make 6 muffins, or double it to make 12 good-sized ones. Taken from Baking by Martha Day. 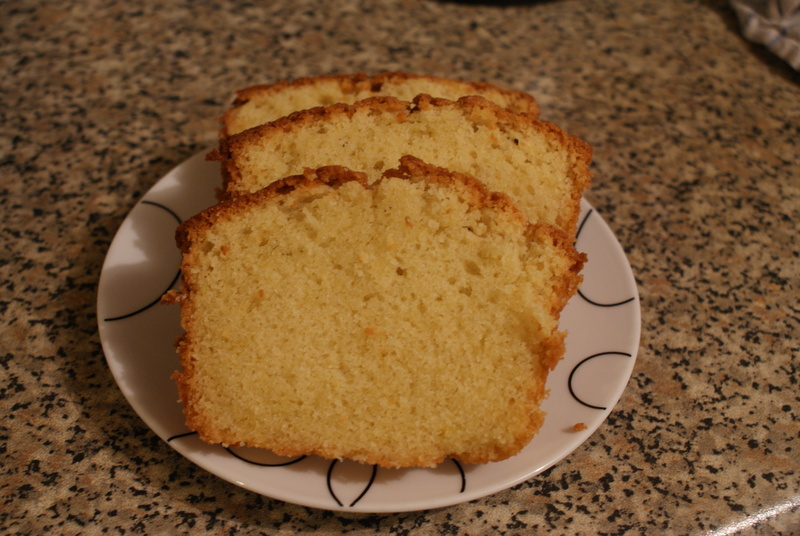 Madeira cake is my all-time favourite cake. If I could only eat one cake for the rest of my life, this would be it. This might surprise those of you who know of my passion for chocolate, but I’m firmly of the belief that the classics are classics for a reason – and you don’t get much more classic than a madeira cake! I baked this last night as a Mother’s Day treat for my mum. Conveniently, this is also her favourite cake, so I get the pleasure of baking it several times a year for Mother’s Day and her birthday (and for my own birthday, too!). 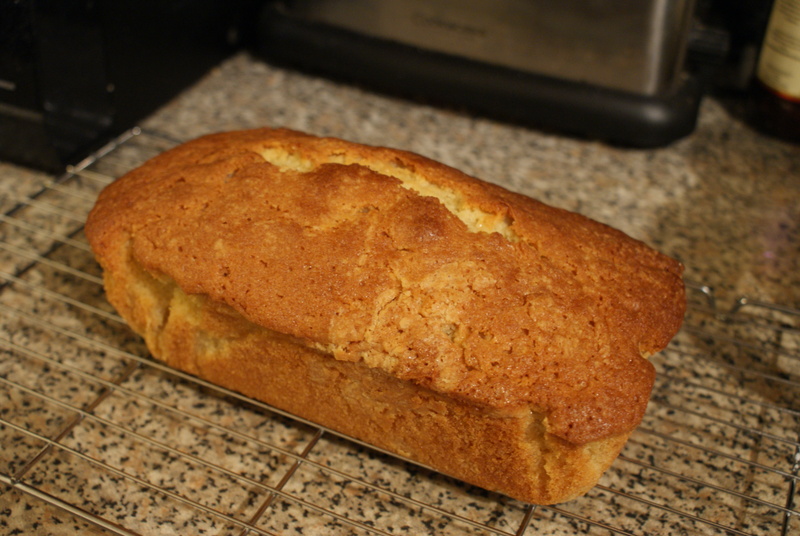 I’ve only ever tried one recipe for madeira cake (from Baking by Martha Day), and it’s always worked brilliantly – and yesterday was no exception. It’s really quick and easy to prepare – the recipe calls for an electric mixer, but I’ve always made the batter manually with no problems. What elevates this recipe above other recipes that I’ve seen is the combination of vanilla extract and lemon zest, which really turns the cake into something utterly delicious (I rarely see madeira cake recipes that call for lemon). The texture is perfect – the crumb is very fine, yet lovely and moist. The cake rises wonderfully during baking and you know it’s turned out perfectly when you get that straight ‘slash’ in the middle on the top. I’ve been using this recipe for a few years now and it’s never failed (apart from when I made it for my birthday last year after downing a large celebratory vodka and coke – there was slight, er, browning, shall we say) – so if you’re looking for an easy madeira cake recipe that delivers brilliant results, this is the one! On a side note, you might notice that the pics in this post are of a better quality than usual. My brother very handily acquired a Sony SLR camera this week, so I appropriated it to take photos of the finished cake (I used my phone as normal for the batter pic, as I didn’t want to get the mix all over the lovely new camera!). Hopefully you can get a good idea of the loveliness of the cake from the SLR images. My boyfriend claimed the other night that I’m “always” trying to get out of making this particular recipe, from Baking by Martha Day, which is a complete lie! So, I thought I’d prove him wrong by simply baking them. The name ‘spicy pepper biscuits’ suggests these are savoury treats, but they are actually sweet with a strong savoury edge. And they’re extremely delicious. The sweetness comes from the brown sugar, almonds and vanilla extract, while the spiciness is created with allspice, cinnamon, ginger, nutmeg, cardamom, salt and that all-important pepper. The texture of the biscuits in this batch are more cookie-like than biscuit-like; the recipe calls for an awful lot of butter and a dash of cream, and requires the dough to be shaped into balls, which I think means it’s inevitable that the middles will be a little soft. I’m not sure I’ve got these spot-on, as the picture in the book suggests they should be a lot smoother. However, I had to grind the almonds myself in my not-very-good food processor, so they weren’t as fine as I would have liked. I also had to use my Argos value electric mixer, which on its lowest setting is far too fast for my liking. So, it’s possible I didn’t mix the dough enough to create the texture needed for these. 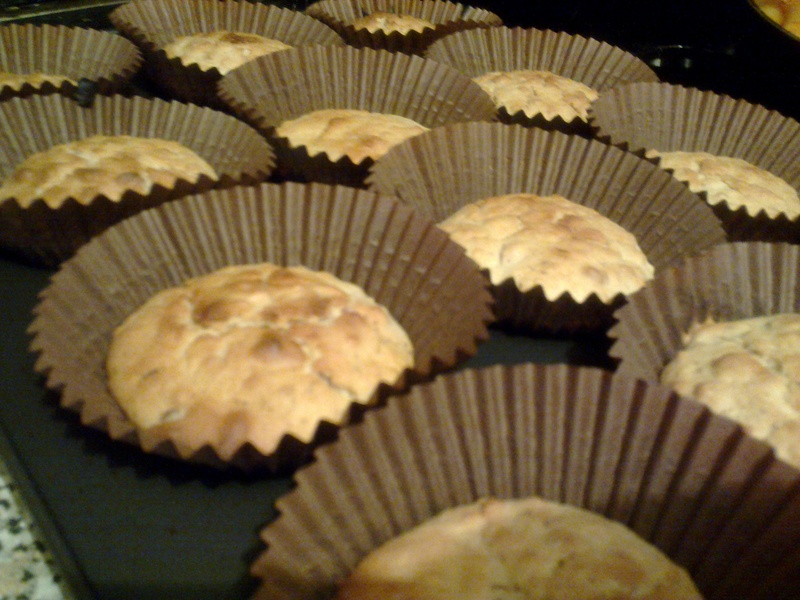 It’s an odd one, because when I took these out of the oven, some of them had retained their compact, round shape (the ones shown in the pics) like they were supposed to, while others had completely flattened and were starting to caramelise around the edges. Despite all that, these really are tasty. If there’s one thing I’ve learned from this bake, it’s that I should put a new, quality mixer (preferably with a bowl) and food processor at the top of my list when I’m next shopping for baking tools. I also really need a camera suitable for taking drool-worthy close-ups of my baking efforts; please let me know of any recommendations! Baking round-up: coffee and walnut cake + chocolate flapjacks + upside down blueberry cake + snake pie!